What I Eat In A Day #3: Vegan. I haven’t done a “What I Eat In A Day” post in a while so I thought it was time for another one. The food I eat has changed a bit since I moved to Singapore (the main change being that I now have a blender and can thus eat endless amounts of smoothie bowls!!!). I am currently completing a 9 to 5 internship, meaning that I had to learn to pack plenty of food for the day. Moreover, I have been cooking dinner for 4 people instead of 1 most nights, as my family has been very open about trying vegan food. I pride myself on taking the time in the morning to start my day off right, because I think it’s so important! 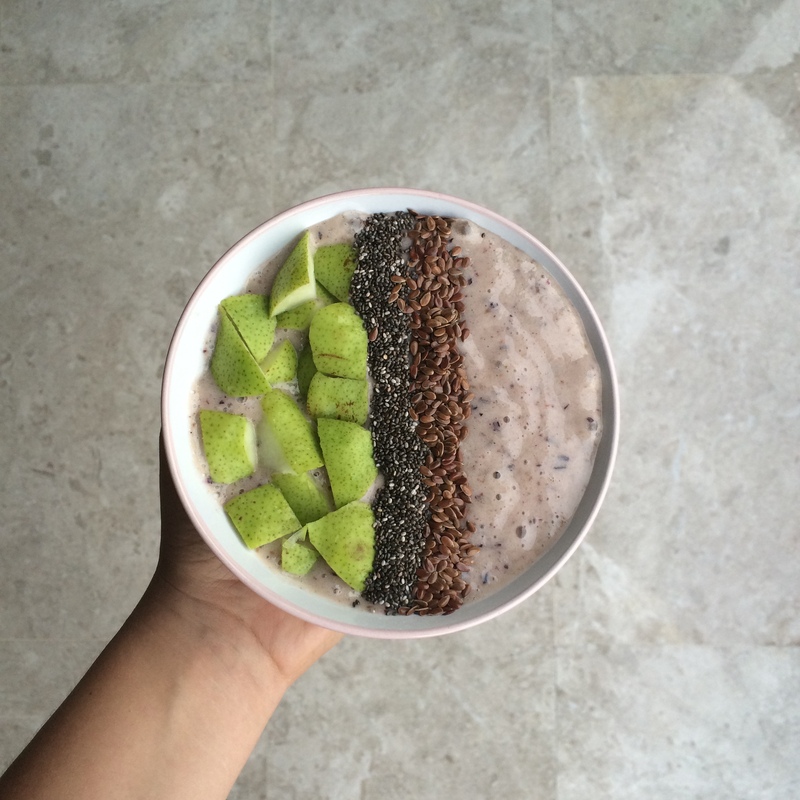 The first picture is a typical smoothie bowl for me; I eat one of these every morning. They always differ a little, this one being a banana and blueberry smoothie topped with pear, chia seeds and flax seeds, but I always make sure they’re packed with fruits and vitamins. 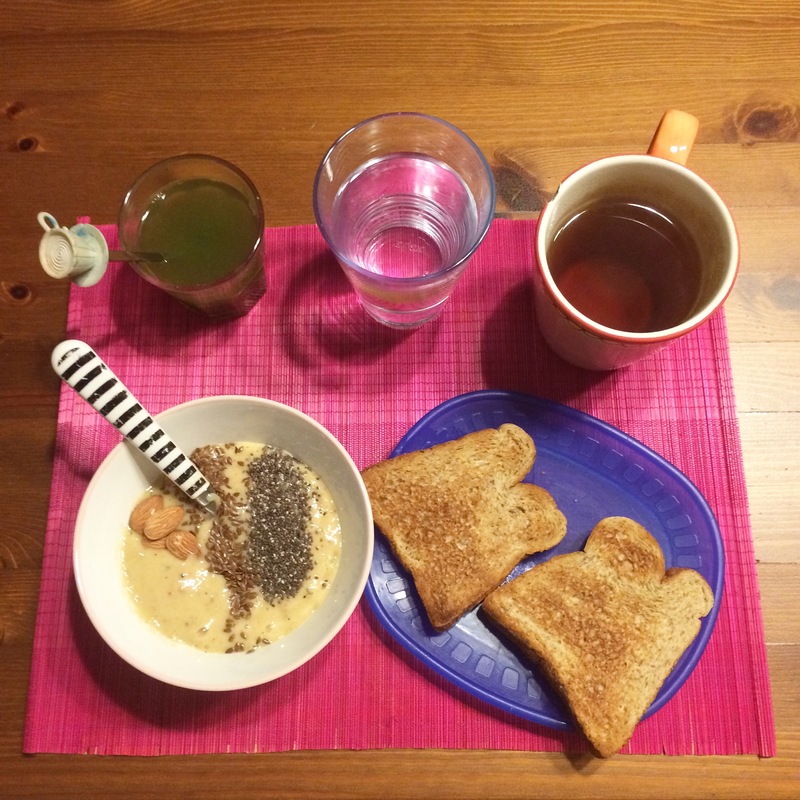 The second picture is just to show you what else I have for breakfast alongside my smoothie bowl; a wheatgrass and lemon drink, a big glass of water (one of many in the morning), a big cup of tea, and two slices of wholemeal toast (sometimes topped with peanut butter). I find that this meal really fills me up, so that I don’t get to the office and immediately want to eat! Around 11 o’clock, I start to get hungry. I always make sure to have plenty of healthy snacks with me at work, because I always want to listen to my body when it tells me it needs food. 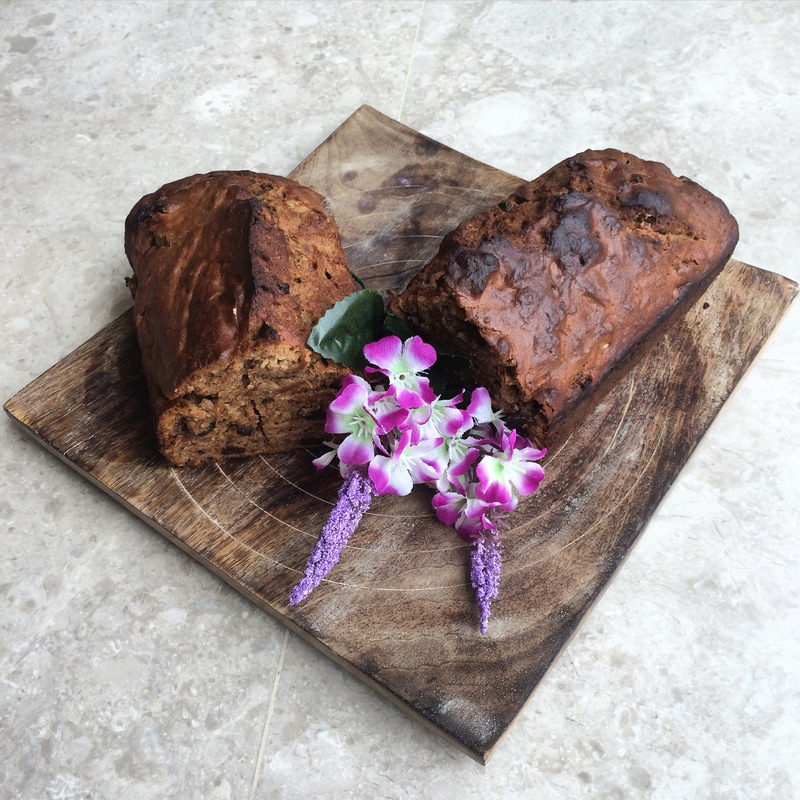 On this day, I had a slice of my vegan banana cake (not the whole cake as pictured above, but a nice big slice!). I love lunchtime; I get to take a break from work and eat some delicious food. 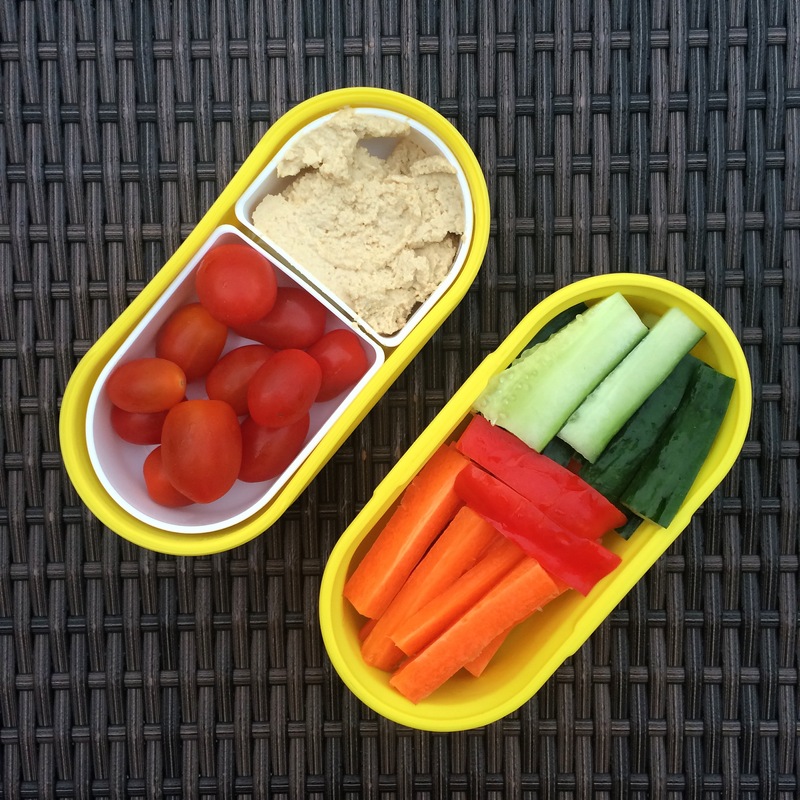 This time I had veggies with hummus; simple but yummy. I had a mix of carrots, red peppers, cucumbers, and cherry tomatoes. In the picture above it might not seem like much, but those containers are deep and it filled me right up! I’m that person that makes a beeline for the fridge as soon as I get home from work. 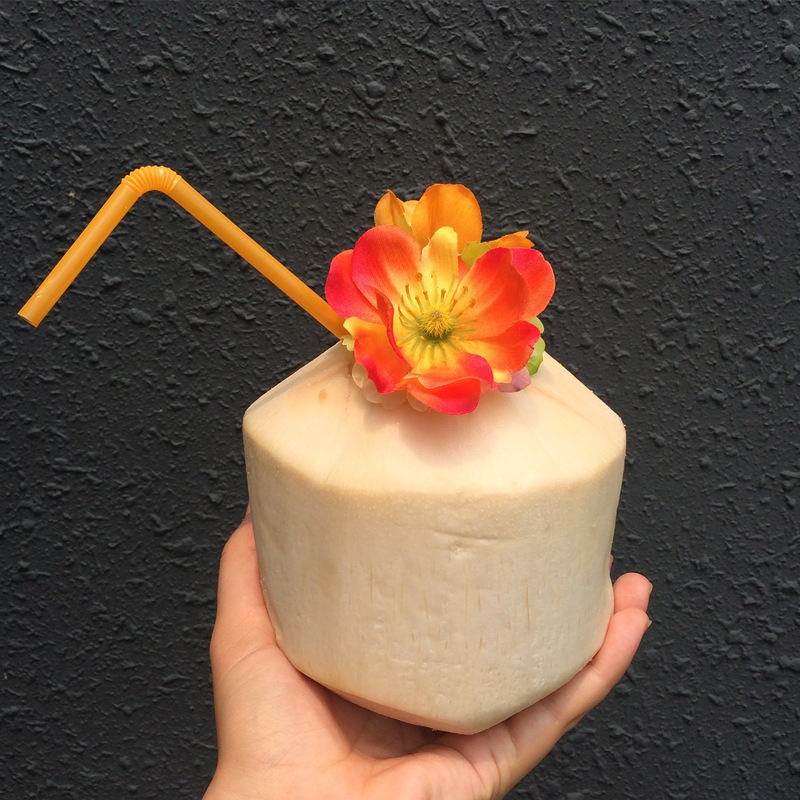 I’ve been loving fresh coconuts lately; the coconut water quenches my thirst and the meat is just scrumptious. 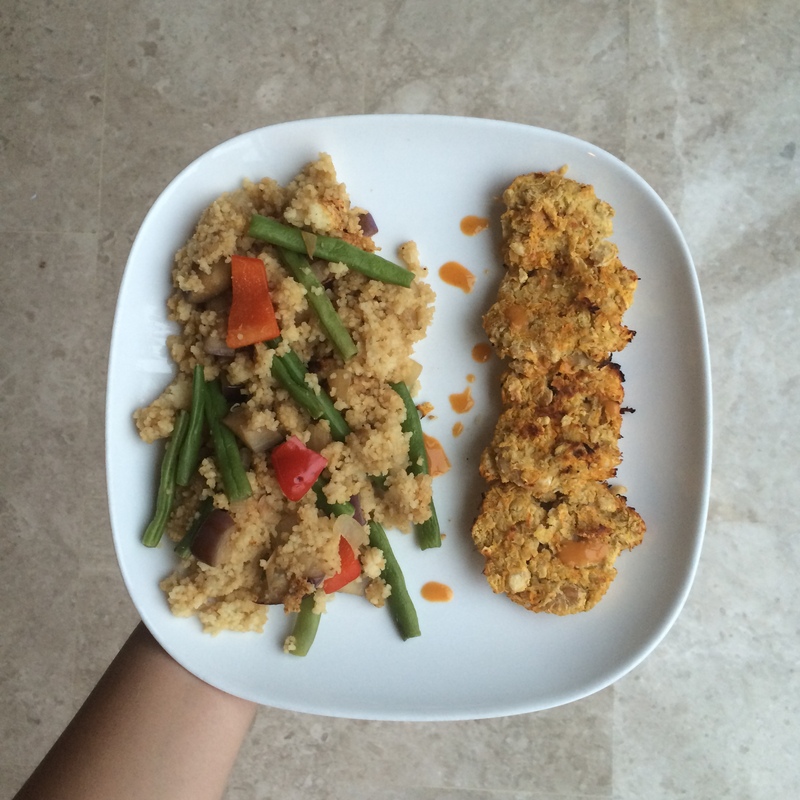 My last meal of the day; couscous with mixed veggies (green beans, red peppers, and eggplant) with some carrot falafels and piri piri sauce. Pictured above is just plate #1, I had another full plate after this, because I eat till I’m full. This results in not having any snack attacks at 9pm, and all I have after dinner are some cups of tea. What do you eat on a regular day? I’d love to know! Tips For The Anxious University Freshman.